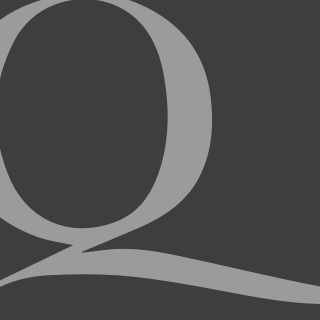 Editor’s note: Five years ago, Quadrant Online published this profile of Maurice Strong (left), the man who, more than any other, redefined a trace gas as the meal ticket for tens of thousands of climate functionaries — the same people whose light-fingered heirs are today gathered in Paris. To mark his passing, we once again present John Izzard’s profile of the man who did very nicely by costing everyone else dearly. January has certainly been a defining month in the quest for truth about climate change, and the custodians of that “truth” aren’t looking that flash at the moment. Indeed in the month of January some of the major doomsday prophecies unravelled and the prophets themselves seemed to undergo vows of silence. Kevin Rudd, Penny Wong, Tim Flannery — who are never lost for words — seemed, well… totally lost for words! Like Dorothy, Lion, Tin Man and Scarecrow in The Wizard of Oz, we’ve all been dancing down the Yellow Brick Road of “settled science” in search of answers from the Emerald City, only to find that what we suspected all along — the Wizard has been telling us fibs. But who exactly is the Wizard? And where did this seeming-madness all begin? Undoubtedly there are many “wizards”, but the man behind the green curtain, the man who managed to get the climate industry to where it is today is a mild mannered character by the name of Maurice Strong. The whole climate change business, and it is a business, started with Mr Strong. Maurice Strong, a self-confessed socialist, was the man who put the United Nations into the environmental business, being the shadowy-figure behind the UN secretaries general from U Thant to Kofi Annan. His reign of influence in world affairs lasted from 1962 to 2005. Strong has been variously called “the international man of mystery”, the “new guy in your future” and “a very dangerous ideologue”. Strong made his fortune in the oil and energy business running companies such as Petro Canada, Power Corporation, CalTex Africa, Hydro Canada, the Colorado Land and Cattle Company, Ajax Petroleum, Canadian Industrial Oil and Gas— to name just a few.His private interests always seemed to be in conflict with his public persona and his work on the world stage. Strong’s extensive range of contacts within the power brokers of the world was exceptional. One admirer christened him “the Michelangelo of networking”. Maurice Strong described himself as “a socialist in ideology, a capitalist in methodology”. In 1972 he organised for U Thant the first Earth Summit, The Stockholm Conference on the Human Environment. This led to the formation of UN Environment Program with Maurice Strong at its head. Later, as the UNEP boss he organised the first international expert group meeting on climate change. This led to exotic UN sponsored organizations such at Earth Council and Earth Charter, The World Resources Institute, the World Wildlife Fund and later The Commission for World Governance and the UN’s University for Peace. Strong was the driving force behind the idea of world governance by the United Nations when he dreamt up a world tax on monetary transactions of 0.5% which would have given theUN an annual income of $1.5 trillion. About equal then to the income of the USA. The stumbling block was the Security Council, and their power of veto. He devised a plan to get rid of the Security Council but failed to get it implemented. Then came along the idea that global warming might just be the device to get his World Governance proposal up and running. It is clear that current lifestyles and consumption patterns of the affluent middle class— involving high meat intake, consumption of large amounts frozen and convenience foods, use of fossil fuels, appliances, home and work place air-conditioning, and suburbanhousing — are not sustainable. There goes the Sunday roast, a house to live in, the car, the occasional hamburger and generally, life on earth as we know it. But what Strong didn’t tell the delegates was that he was involved in the purchase of the Colorado Land and Cattle Company, which he bought from Adnan Khashoggi, an arms dealer who had strong connections with the Bin Laden family. This 200,000 acre cattle property, called the Baca had two hidden secrets. One was that it sat above vast underground water systems, which Strong wanted to remove. He formed the American Water Development Corporation to exploit the water by pumping it out for commercial intent but was stopped by the locals as they feared it would destroy the delicate environment. The valley in which the Baca establishment is located is also traditional home for various Navajo tribes. They believe that their ancestors were led underground here by “Ant People” and according to Navajo tradition they were warned of a coming cataclysm by “sky katchinas” (sky spirits). No wonder Strong wanted to buy the Baca. Meanwhile Maurice was also busy founding the Earth Council Institute in 1992 and recruiting world luminaries such as Mikhail Gorbachev, Shimon Peres, Al Gore and David Rockefeller. In 2000 Earth Charter was formed as a further push by Strong to create a world governing body. Unfortunately, in 2005, the most powerful man in the push to save of humanity — by steady promotion of the theory of human induced greenhouse gases — was caught with his hand in the till. Investigations into the UN’s Oil-for-Food-Program found that Strong had endorsed a cheque for $988,885 made out to M. Strong — issued by a Jordanian bank. The man who gave the cheque, South Korean business man Tongsun Park was convicted in 2006 in a US Federal court of conspiring to bribe UN officials. Strong resigned and fled to Canada and thence to China where he has been living ever since. 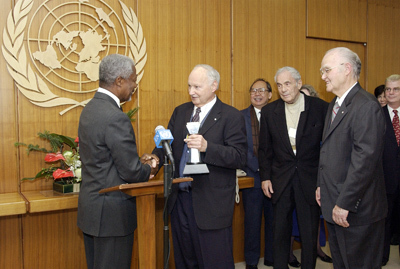 Maurice Strong, as an 18-year-old Canadian from Manitoba, started work at the United Nations in 1947 as a junior officer in the UN Security Section, living with the UN Treasurer, Noah Monod. Following his exposure for bribery and corruption in the UN’s Oil-for-Food scandal Maurice Strong was stripped of many of his 53 international awards and honours he had collected during his lifetime working in dual role of arch conservationist and ruthless businessman. The exposure and downfall of climate change’s most powerful wizard? Dorothy and Toto would have loved it! Notwithstanding all of that, climate alarmism is the new religion and replaces that which we all knew and which existed for 2,000 years. It has all the hallmarks of a belief system; demagogues, adherence to belief rather than science (remember the fate of Copernicus? ), acolytes and millions who believe despite the fact that much of its ideology is based on myth. Yes, there are huge parallels. It’s nowadays very difficult to discern truth from deception, putting truth to the statement that there is no such thing as the truth! Yet the truth is there … and its not many truths … and its not narrative less … and its not relative … it does not equivocate. And the truth does not reveal itself only to the richest man.. or to businessmen .. or to only scientists .. or even to the experts … but it is there .. whatever happened for whatever reason. If there is no such thing as truth then how would the animals live? how would the fish swim if not for the truth? how would the dingo give birth in the desert? It is important to remember amongst the chaos and catastrophe – that there is the truth. .. a single grain on a beach of lies. Thanks Patrick, you’re right of course. I should have added, “One must not hold firmly to an ideology in the face of all evidence refuting its veracity”. Doesn’t Professor Tim Flummery live on the water’s edge along the Hawkesbury River somewhere? Wouldn’t he make a much better ‘early warning’ signal, being in tune with Gaia and all the theology and dogma associated with that belief system? And Gillard bought her retirement home in “a fantastic location, just steps to the beach” according to the agent’s spiel.